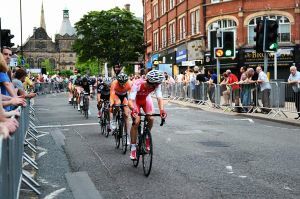 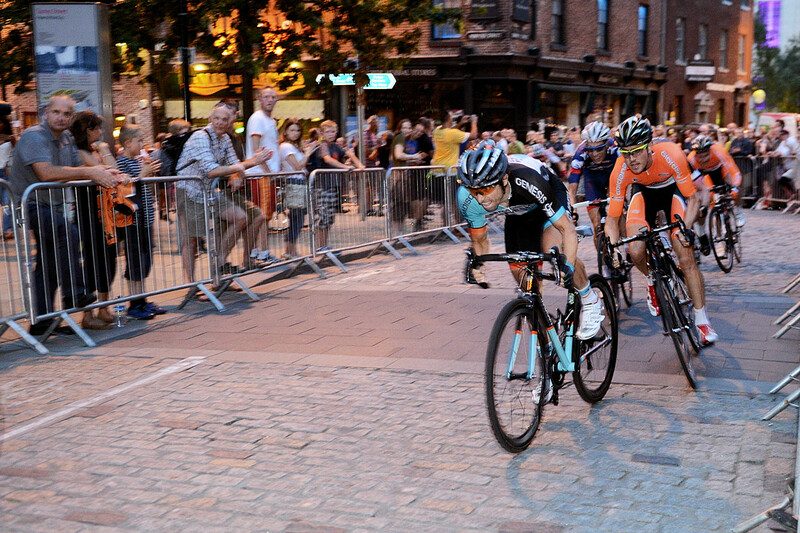 As a newbie spectator to the criterium the whole thing appeared as a fascinating – if not frantic – race. 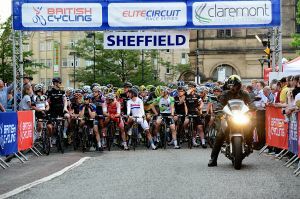 Eighty odd riders started the men’s race and it was hotly contested right from the get go. 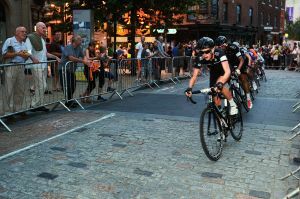 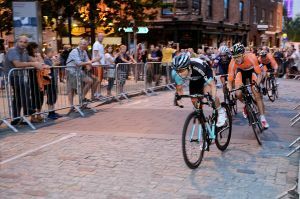 Hammering round the tight 1.4km course anticlockwise at up to 50kms an hour, the riders navigated the rough and tumble of intermediate sprints, the granite cobbles of Surrey Street as well as the sudden death if they’re lapped. 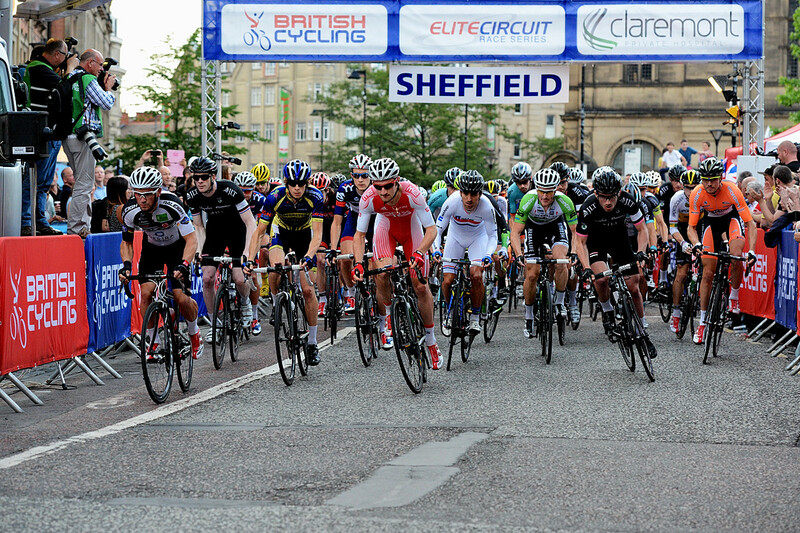 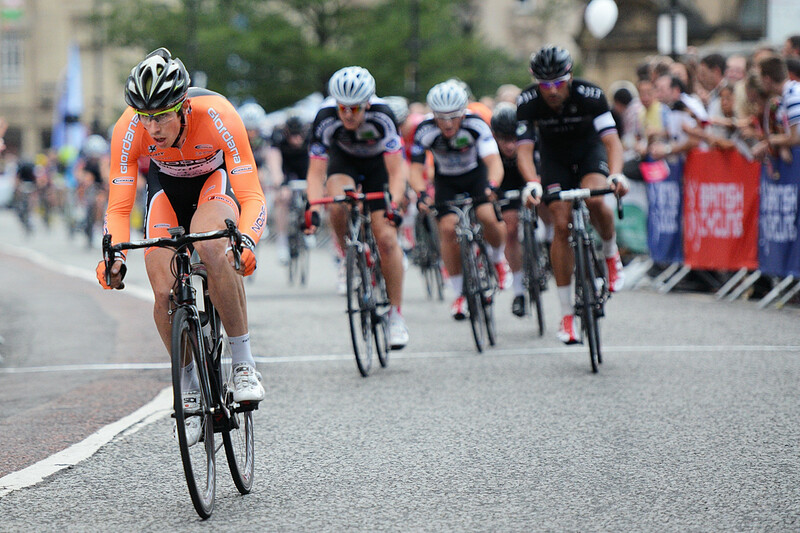 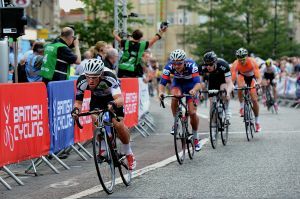 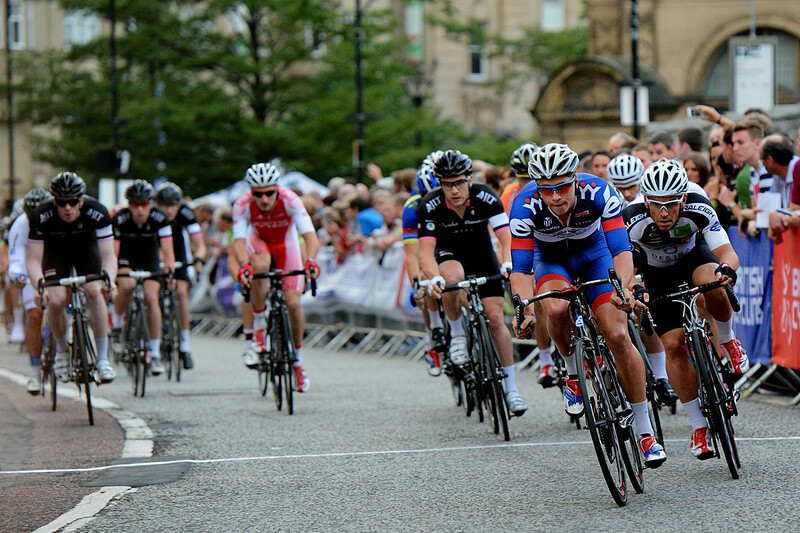 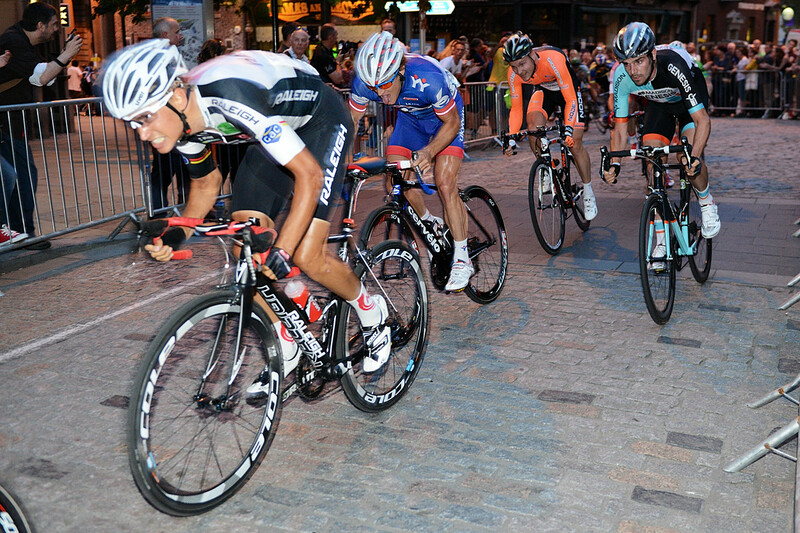 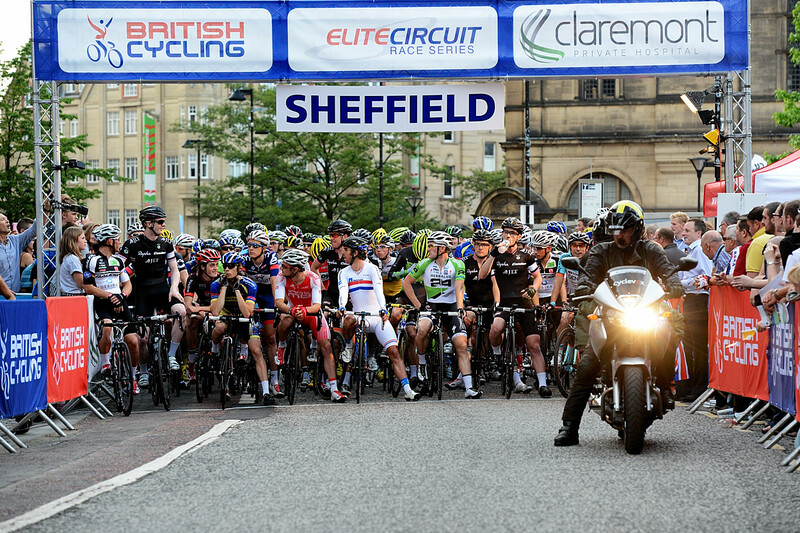 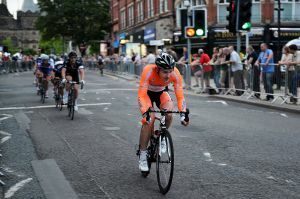 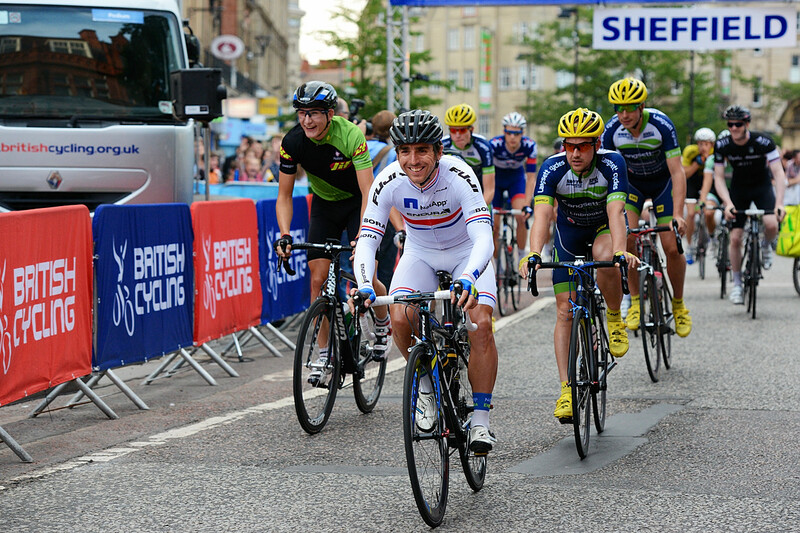 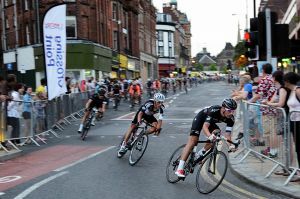 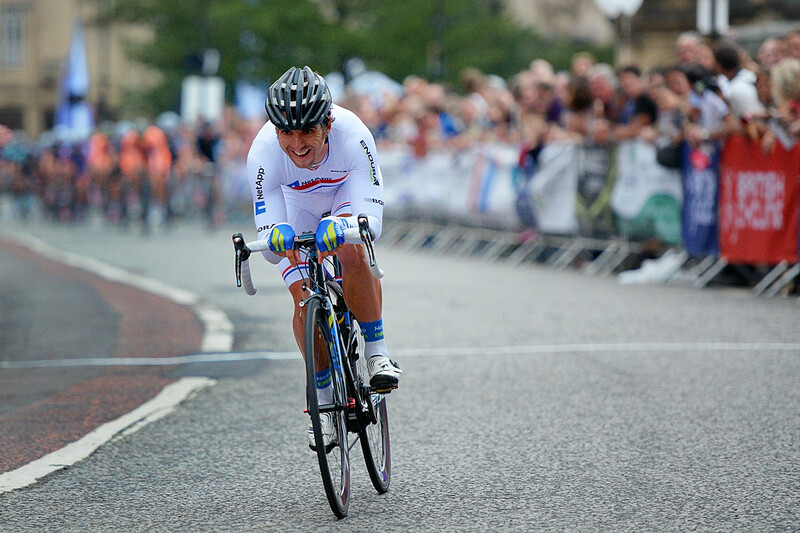 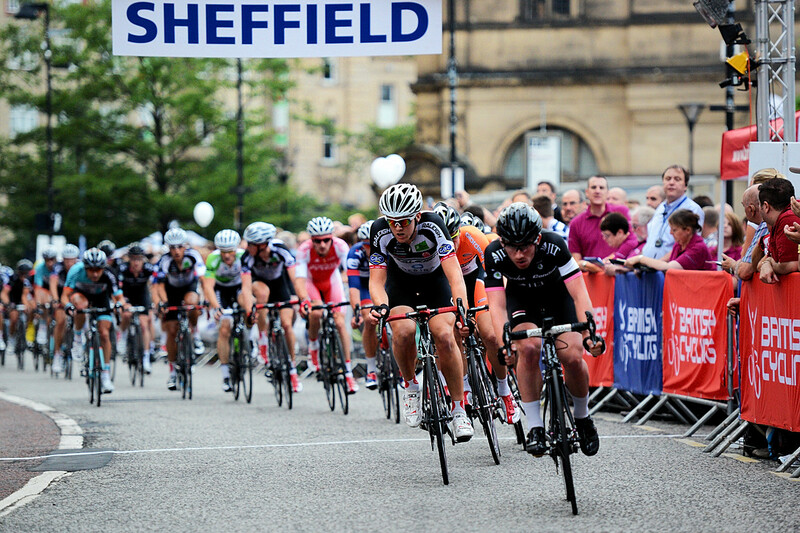 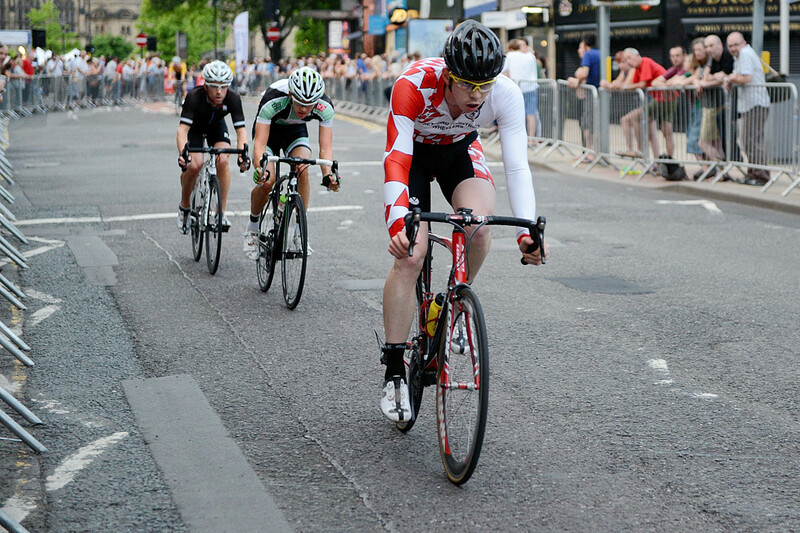 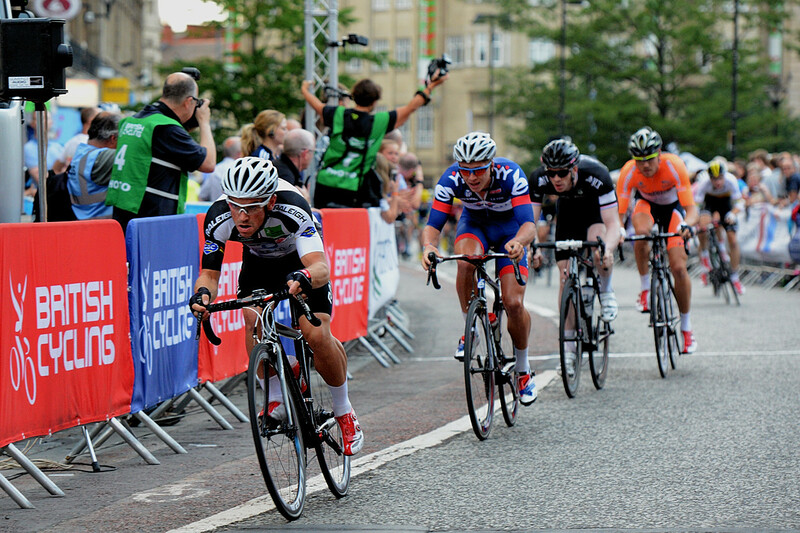 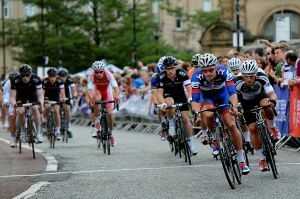 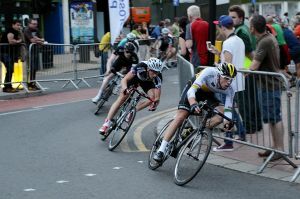 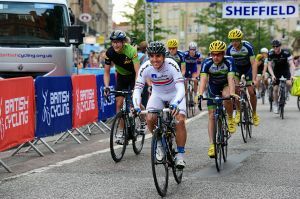 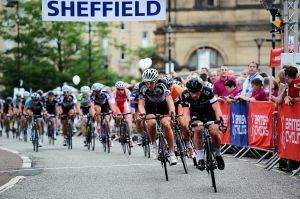 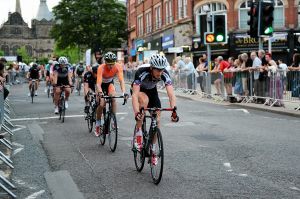 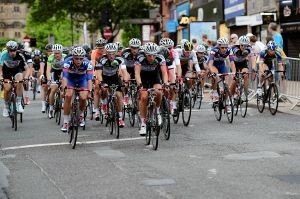 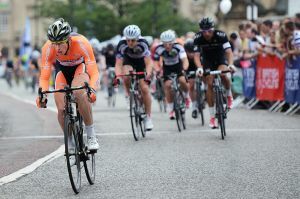 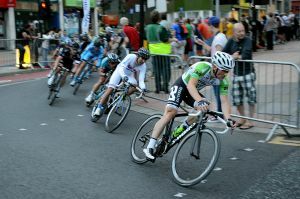 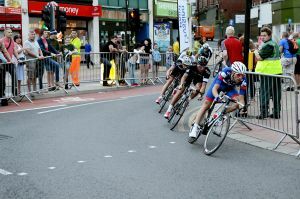 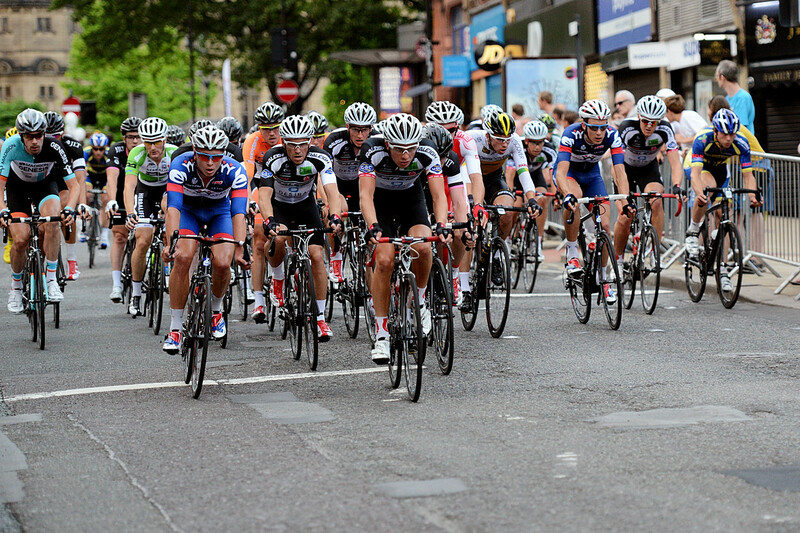 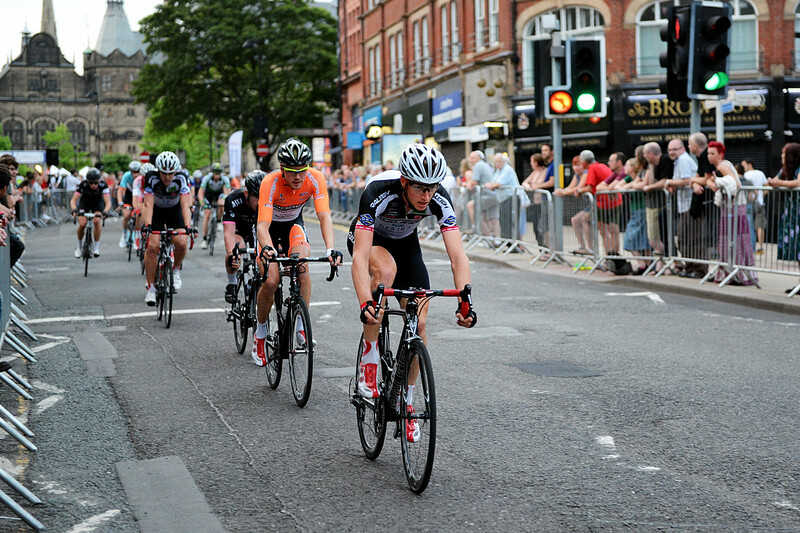 It all made for a brilliant evening of fast and furious cycling and the large crowd couldn’t get enough of it. 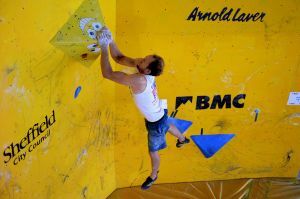 Cliffhanger, and hence the BBC’s (a.k.a. 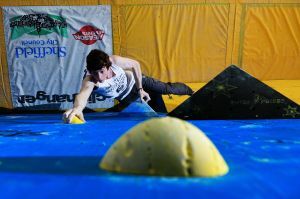 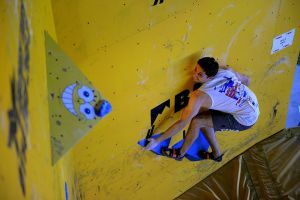 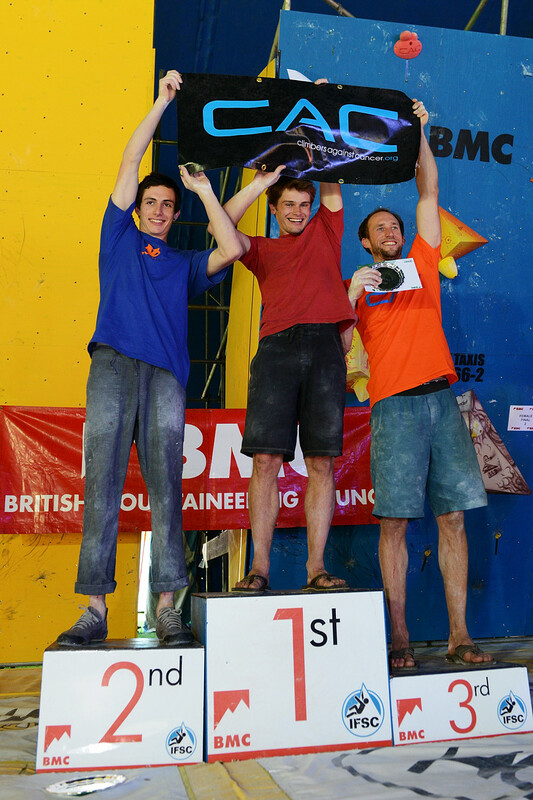 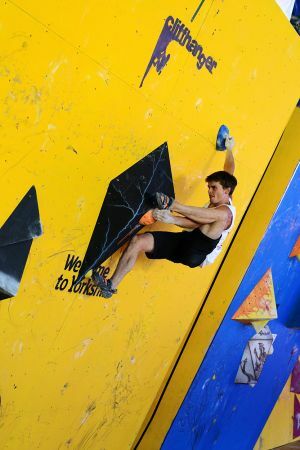 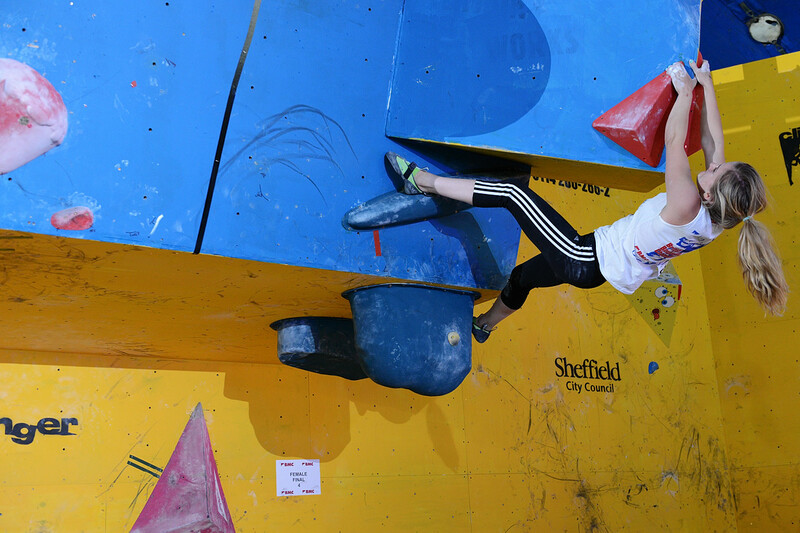 the British Bouldering Championships), rolled into Sheffield last weekend bringing with it some of the strongest boulderers in the UK. In complete contrast to last year’s event which was (literally) a washout, this year’s Cliffhanger event was a total roaster. 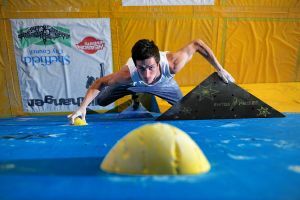 Bloc-misters, setters, officials, photogs/film-makers and spectators alike gasped for air, as well as holds, beneath the giant marquee adding an additional (and un-usual) twist to the fierce competition. 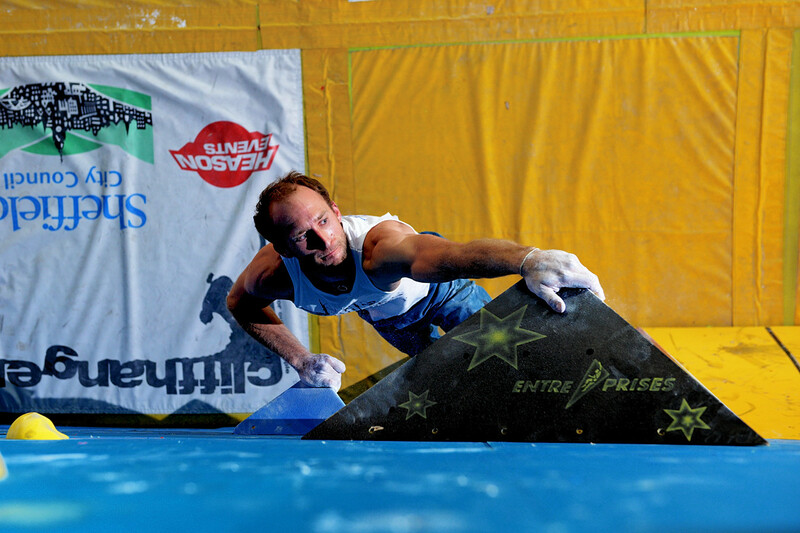 The two-day event kicked-off with the qualification round on the Saturday. 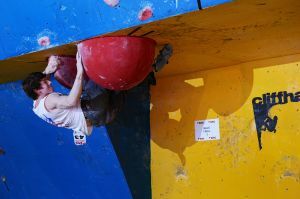 The competition, like the ambient conditions was red-hot, and the 80-odd competitors were halved ahead of the semi final round. Sunday, a.k.a. the business day, saw the setters produce some particularly tricky blocs to cut the competitors back to six for the final round. 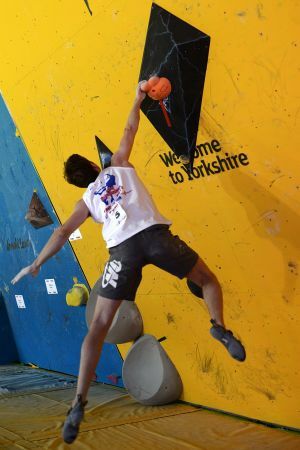 As the results show, the men’s semi was especially savage and very few competitors topped-out the problems; Stewart Watson alone claiming 2 ‘tops’. Hard on the heels of Watson came two young guns, Dominic Burns and James Garden whilst defending champ, Dave Barrans just survived the cut to qualify for the finals in sixth spot. 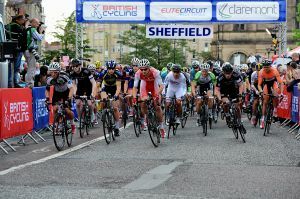 It looked like a major upset was about to happen. 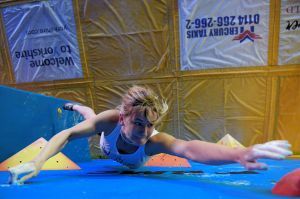 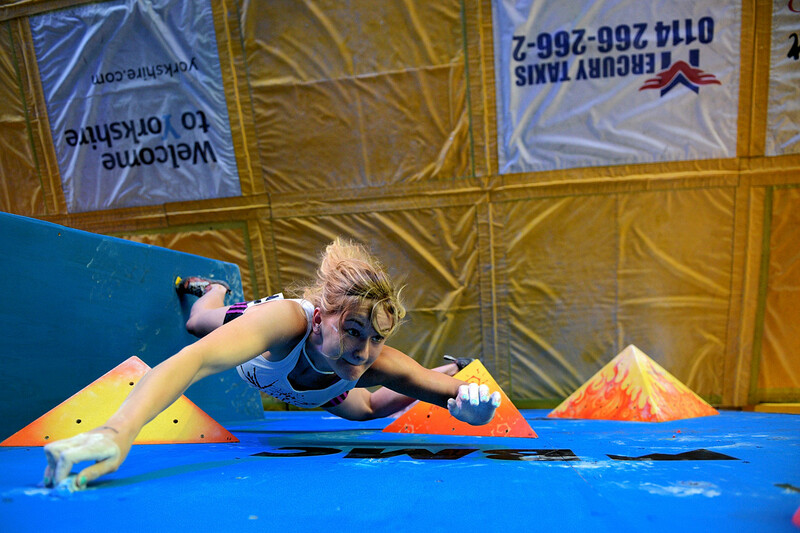 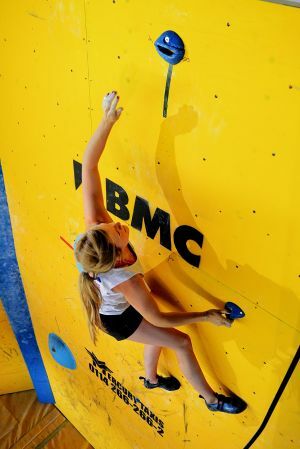 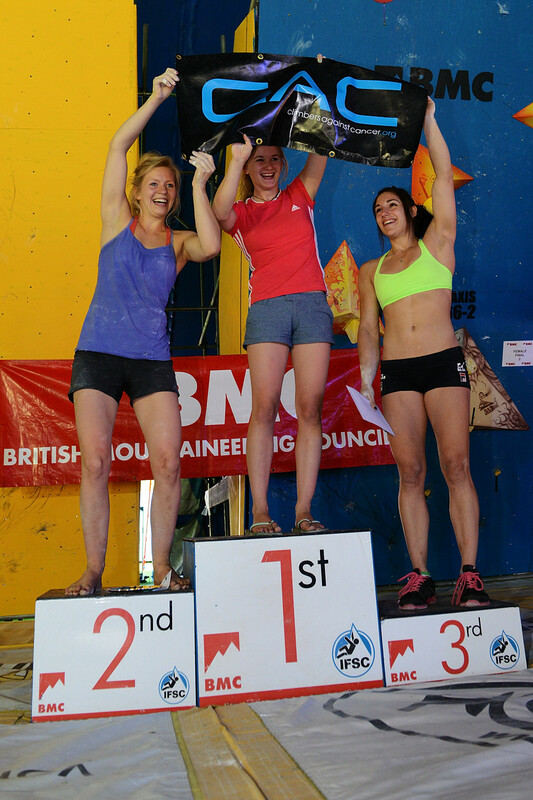 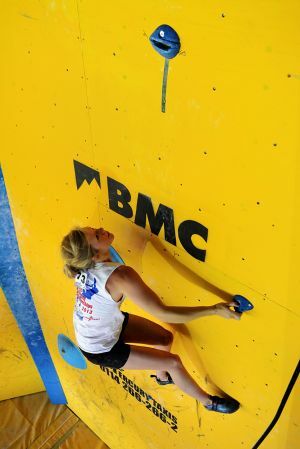 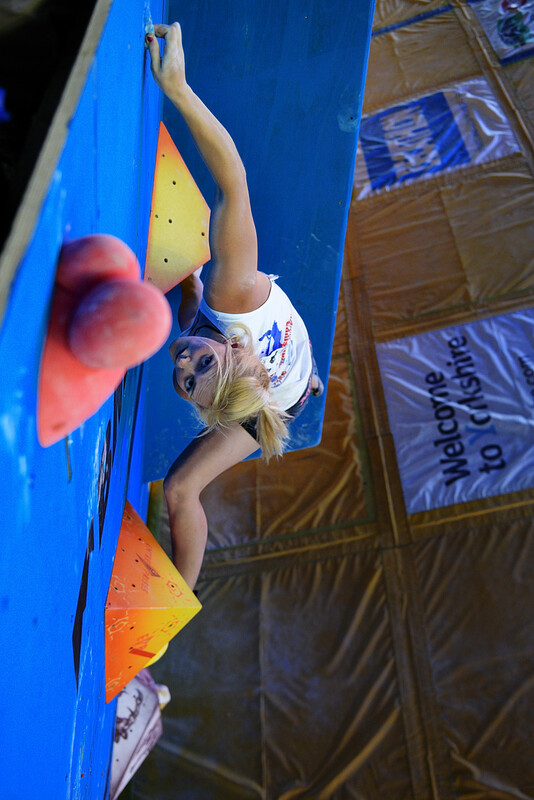 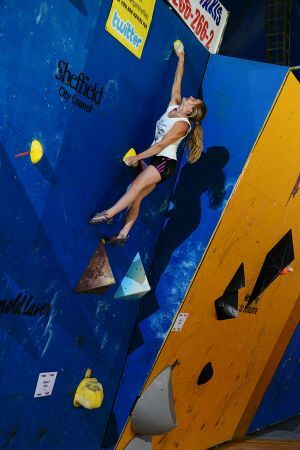 In contrast, the women’s semi-final comp produced a more even spread of results although it was defending champ, Shauna Coxsey, that topped-out on all four problems. 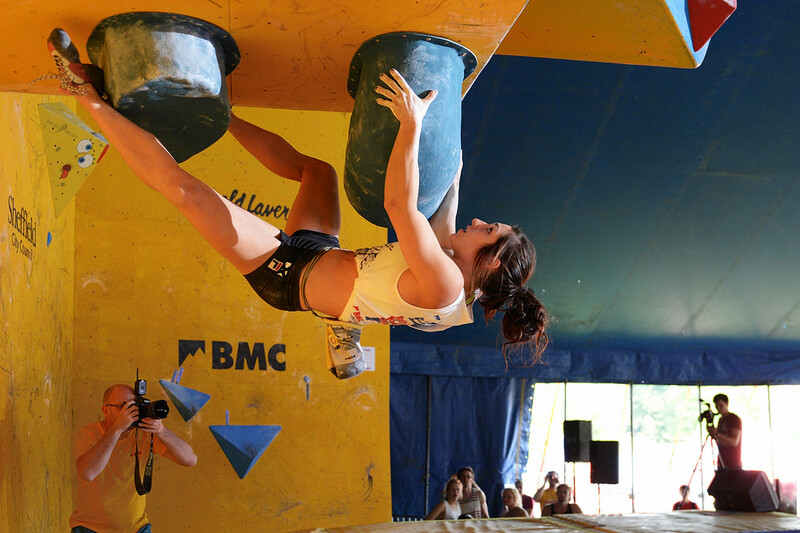 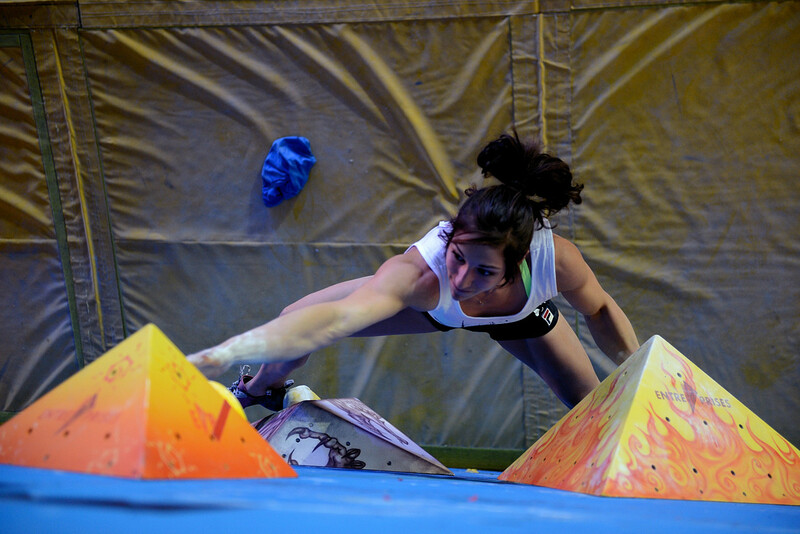 The mighty Alex Puccio finished second with Mina Leslie-Wujastyk and Leah Crane coming in third and fourth respectively. 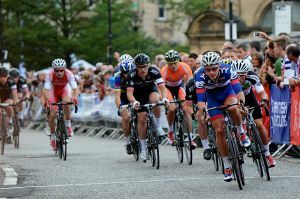 By the time the final and deciding round kicked-off many in the audience smelt drama in the air – if not in Graves Park itself then certainly down in SW19! 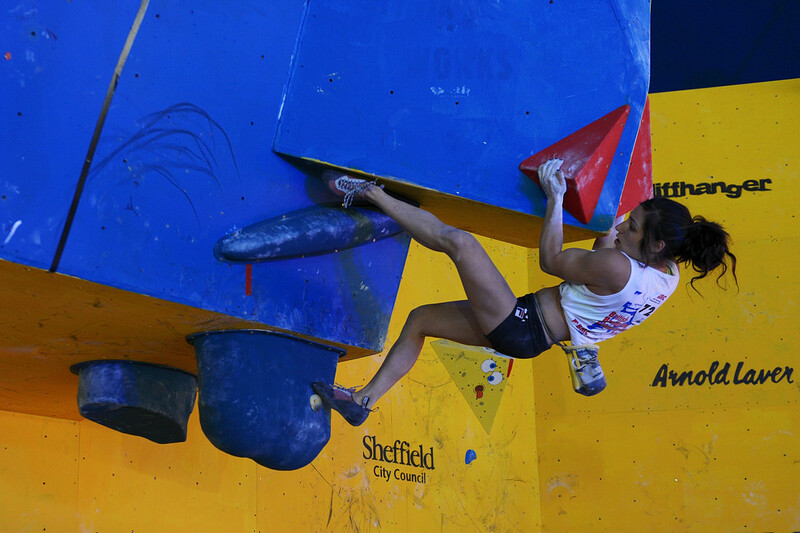 Climbing two at a time, the combined men and women’s final was a heart-stopping affair all round. The setting team, as usual contained Percy Bishton and Ian Vickers, dished-up a fiendish mix of delicate and balancy problems as well as some funky and powerful blocs using loads of volumes with a few skanky holds thrown in for good measure. 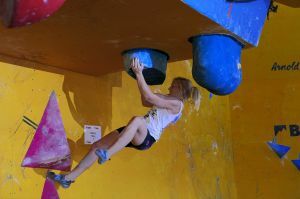 Problem #1 of the women’s circuit tackled a slightly off vertical panel (of all things) and as predicted the super-sloping holds caused major problems and frustrations for some. 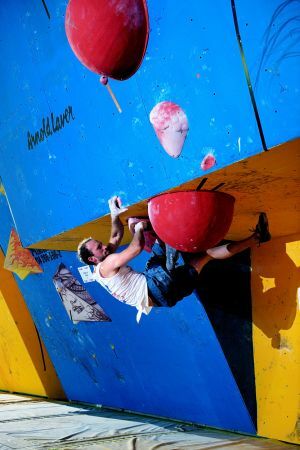 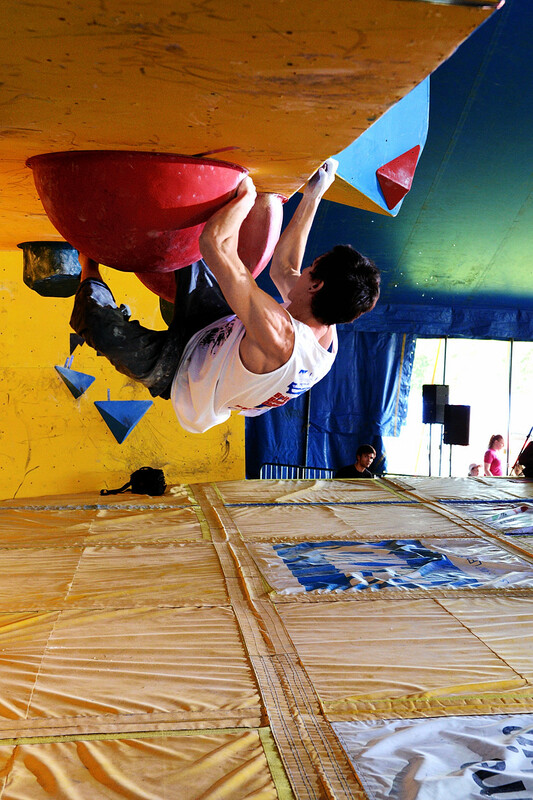 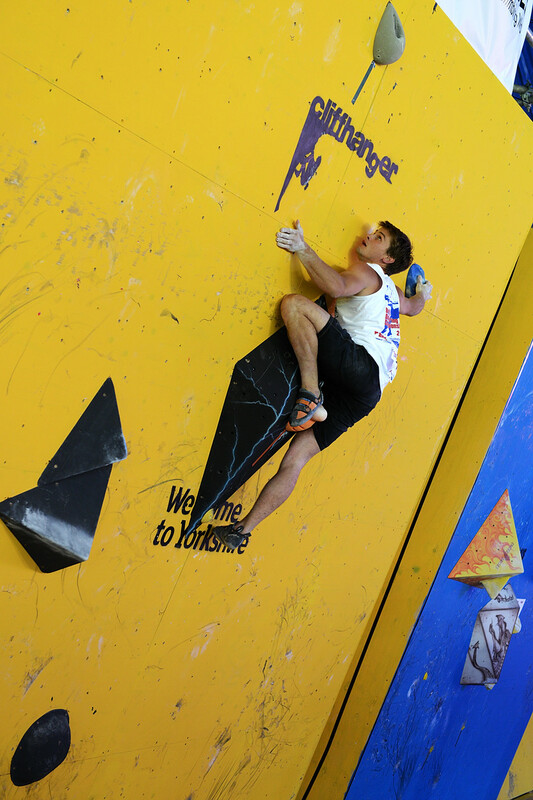 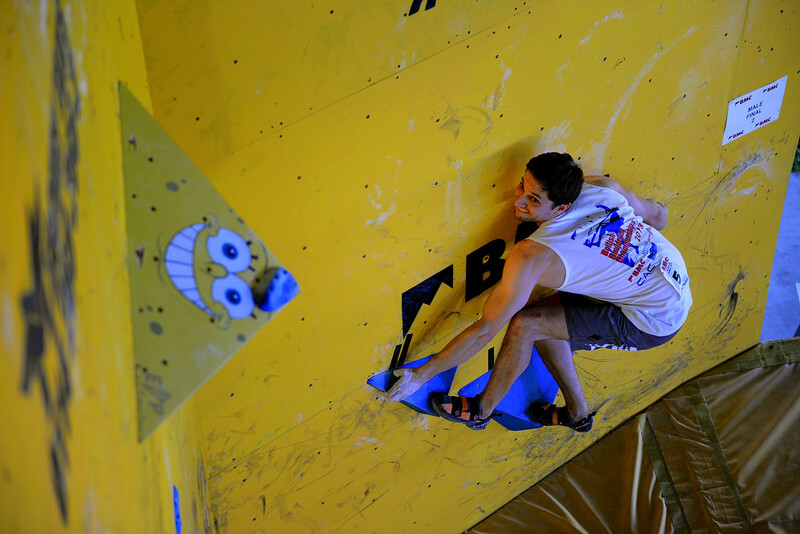 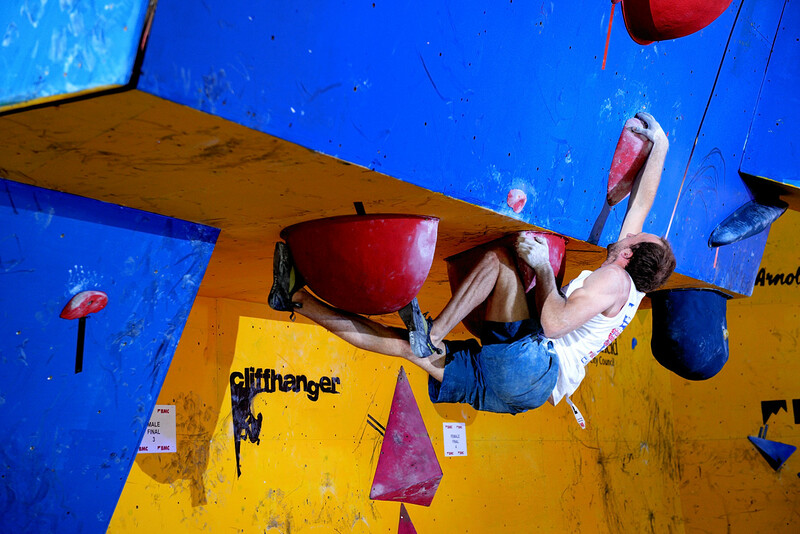 Problem #2 of the men’s circuit looked equally funky – a side-ways dyno off a poor collection of non-holds! 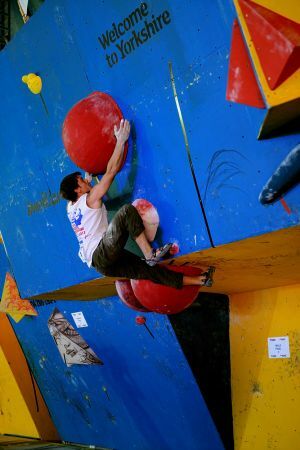 No self-respecting comp these days is complete without a boat load of blobs and volumes and right on queue, blobs aplenty featured on the later blocs. 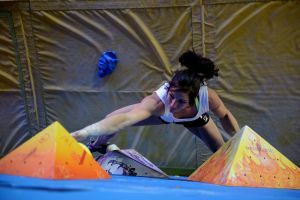 Flexibility, as well as strength was tested to the max on these problems; the setters wringing out the full deployment of tricks and then some from the finalists. 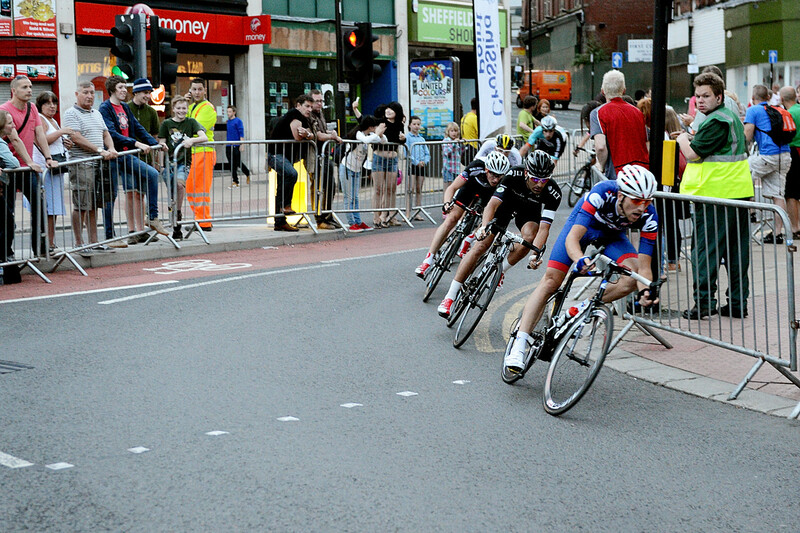 Seeing them like that they look like random numbers with little significance to anything. OK, let’s add some units: 422m, 19.8km and 6.3km. Maybe that’s better then? 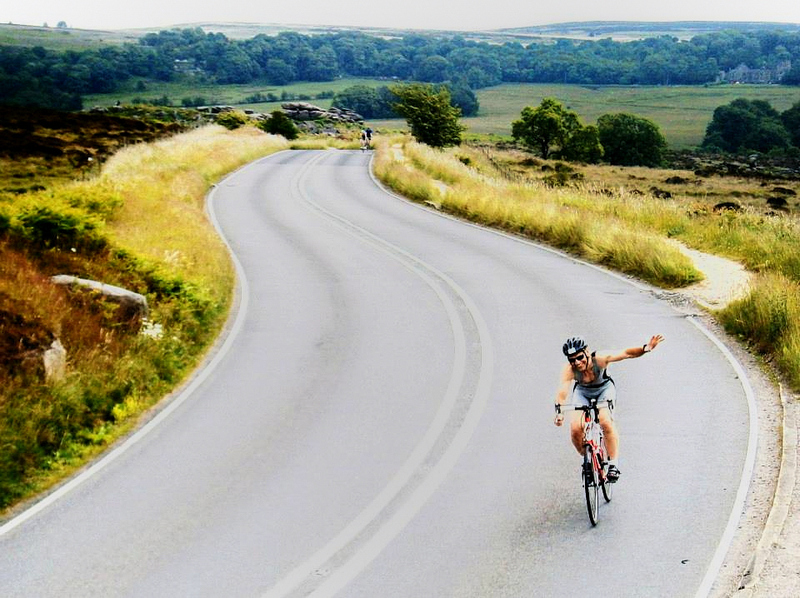 As they’re distances, the inference is that we’re talking some kind of journey is involved – but what? Here’s some more numbers to add into the mix: 422m, 19.8km with 247m elevation gain and then finally, 6.3km with 157m elevation gained. So, we’re nearly there: more numbers and a bit more info and lets repeat again: 420m swim, 19.9km with 247m elevation bike and 6.3km with 157m elevation run. 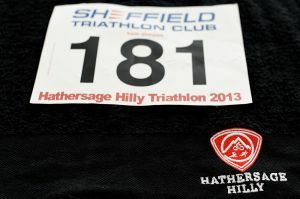 For those in the pain business, ie triathlons, these numbers represent the Hathersage Hilly; a sprint distance triathlon based in the Derbyshire village of Hathersage. 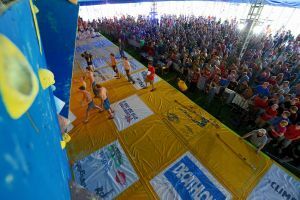 In total, 324 individuals/teams coughed-up a chunk of cash to enter said event and put themselves under the cosh for anywhere between c.1:15 and c.2:30hrs. 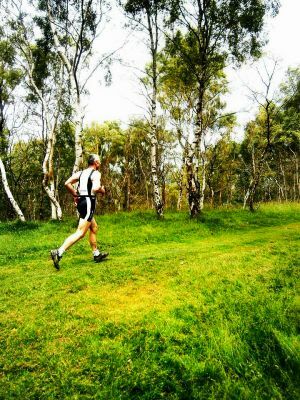 It all seemed like a great idea at the time I entered, but by the time I’d hit the start of the hilly section of the run over an hour into the event I quickly re-evaluated my earlier thoughts and chalked it up as more of my more stupid ideas! 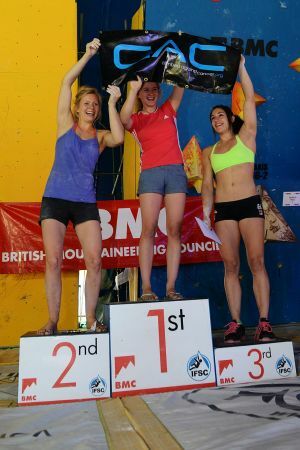 I’d done a bunch of training but frankly, the run was feeling nails and I’d not even got to the steep section at that point. 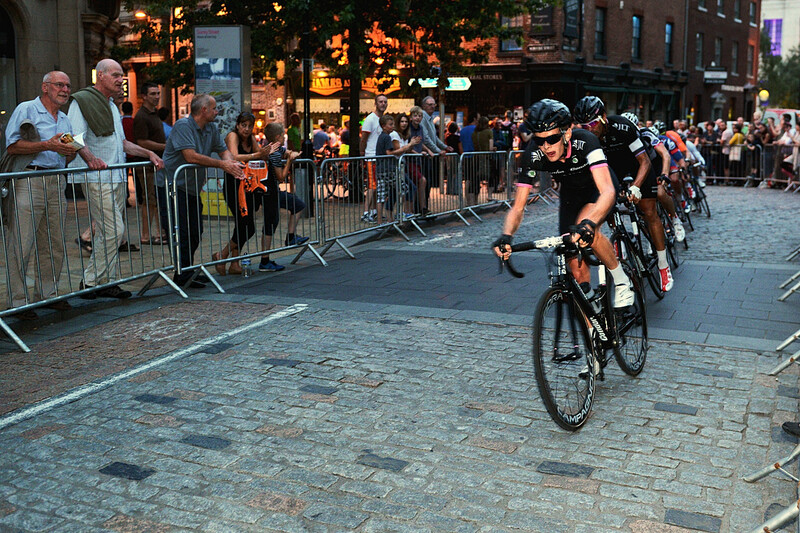 The clue is in the name of this race and a further hint, for Strava users, is that the killer segment is euphemistically tagged as the ‘Ski Slope’ on-line. The swim and the bike legs both went well for me and in the end so too did the run leg largely thanks to the steep downhill section in the second half of the race. 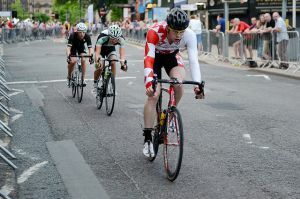 Knackered, but pretty chuffed with my times, I fell over the line feeling like I was truly worked! 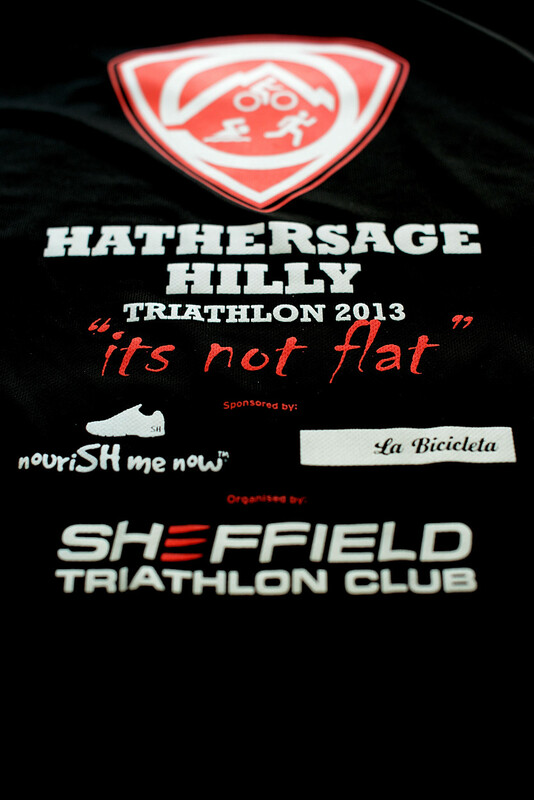 The event T-shirt (above) produced by the organisers, Sheffield Triathlon Club, proclaims “its not flat”. The Hilly is many things but as they say, it sure as hell isn’t flat! 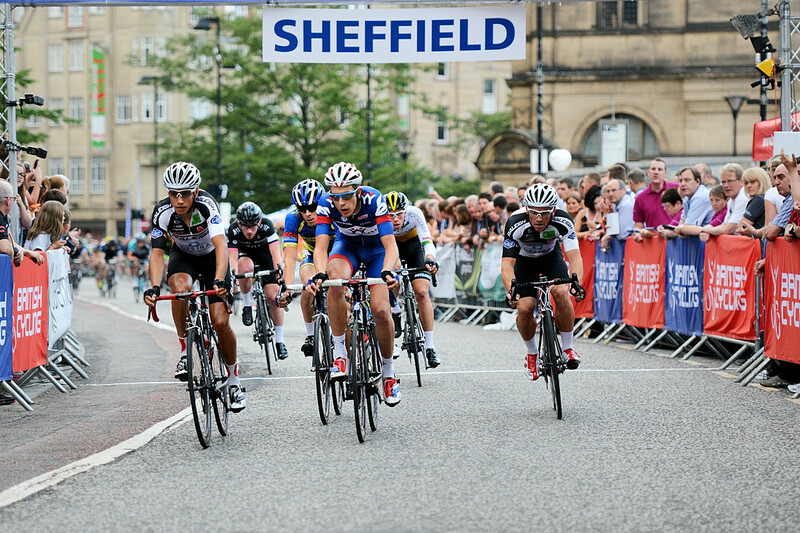 Check-out the event website here or some of the snaps (race shots taken by my daughters) below but be warned, they ain’t pretty.